My cousin Karen lives in London where they know what good Chicken Tikka-Butter Chicken should taste like. She and her mum have prepared this dish for decades from an old recipe. Simply the best Chicken Tikka I have had is at their home. 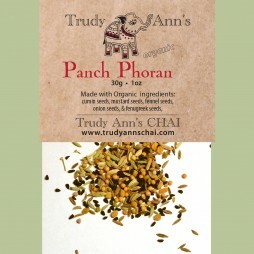 There are 16 dry roasted organic ingredients! 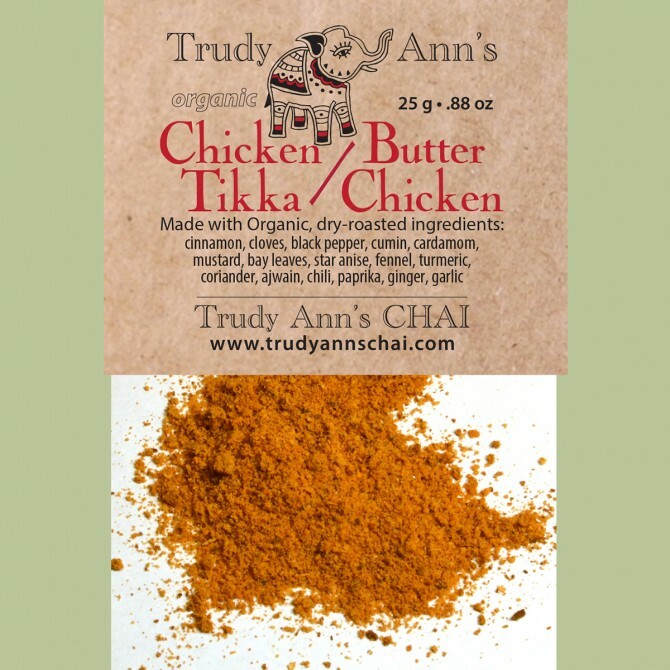 To make this a perfect Chicken Tikka, use Trudy Ann’s Tandoori Marinade with this recipe. 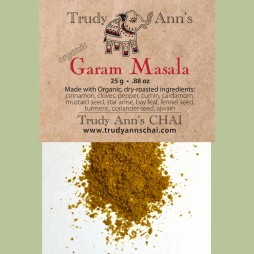 Ingredients: Cinnamon, cardamom, cloves, black pepper, cumin, cloves, mustard, bay leaves, star Anise, fennel, turmeric, coriander, Ajwain, chili, paprika, ginger, garlic. 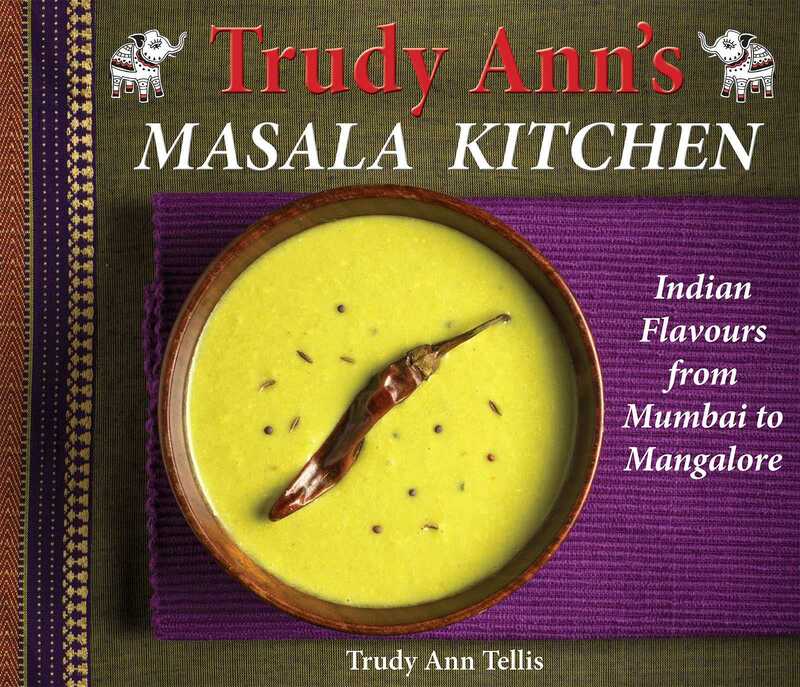 Preparation Chicken Tikka: Marinade 1 lb meat with Trudy Ann’s Tandoori Marinade. In ghee/ oil, Fry 1 TBsp Ginger-Garlic paste,1 onions, 3 large tomatoes, 1TBsp Trudy Ann’s Tikka Masala, 1/2 cup water, 1/4 cup cream, add grilled meat. Cover & Simmer until cooked. Garnish with cilantro leaves. Variation: Add 1 teaspoon Tikka Masala to 1/2 C plain yogurt. 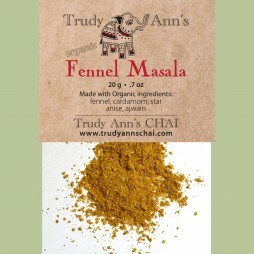 Use as with Butter Chicken marinades, dips or add to food to enhance flavour. Add salt to taste. Be the first to review “Chicken Tikka – Butter Chicken” Click here to cancel reply.